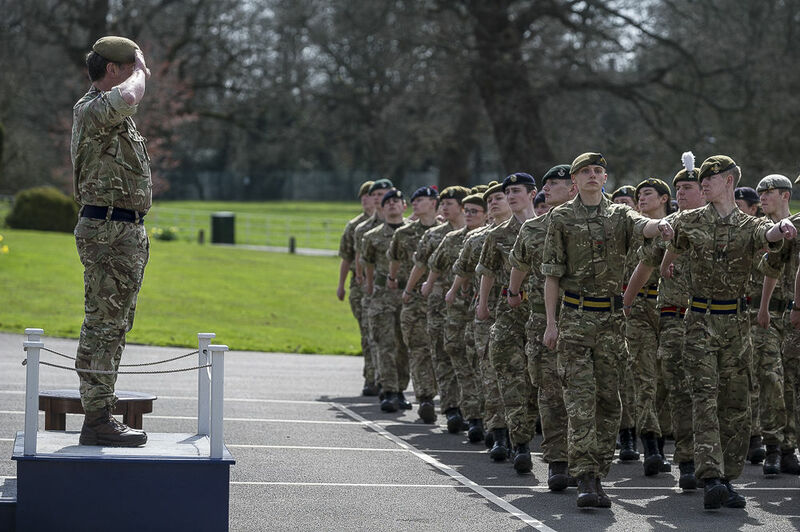 Cdt RSM Robert Jackson, the Cadet Regimental Sergeant Major of The Royal County of Berkshire Army Cadet Force, has won the 2018 National Champion Cadet competition held at the Cadet Training Centre Frimley Park. 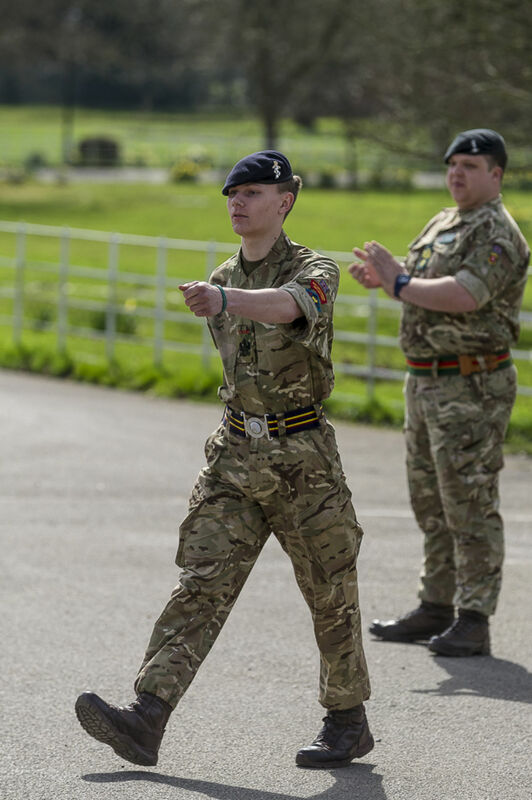 Cdt RSM Jackson has a great record within the ACF. 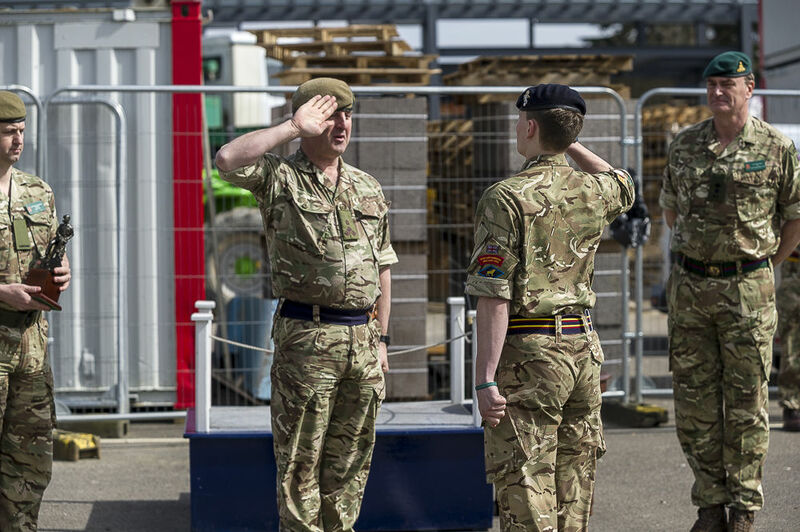 When he attended the Master Cadet course he had just turned 16, making him one of the younger students taking part. He was also the Lord Lieutenant’s Cadet 2016/2017 for Her Majesty’s Lord Lieutenant the Royal County of Berkshire Mr James Puxley. 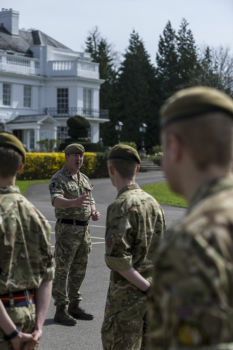 Commenting on Cdt RSM Jackson's win, Major (Retd) Eamonn Coogan, CEO of the Royal County of Berkshire Army Cadet Force, said: "He is an outstanding role model for cadets, his dedication and determination to serve the Army Cadet Force of the Royal County of Berkshire has been particularly noteworthy. His instructors are proud to say that he worked incredibly hard this weekend to come out on top of what was a very close competition and we want to thank all of the CFAVs and cadets who helped to run the competition this year and to The Cadet Kit Shop for sponsoring the winner’s trophy." 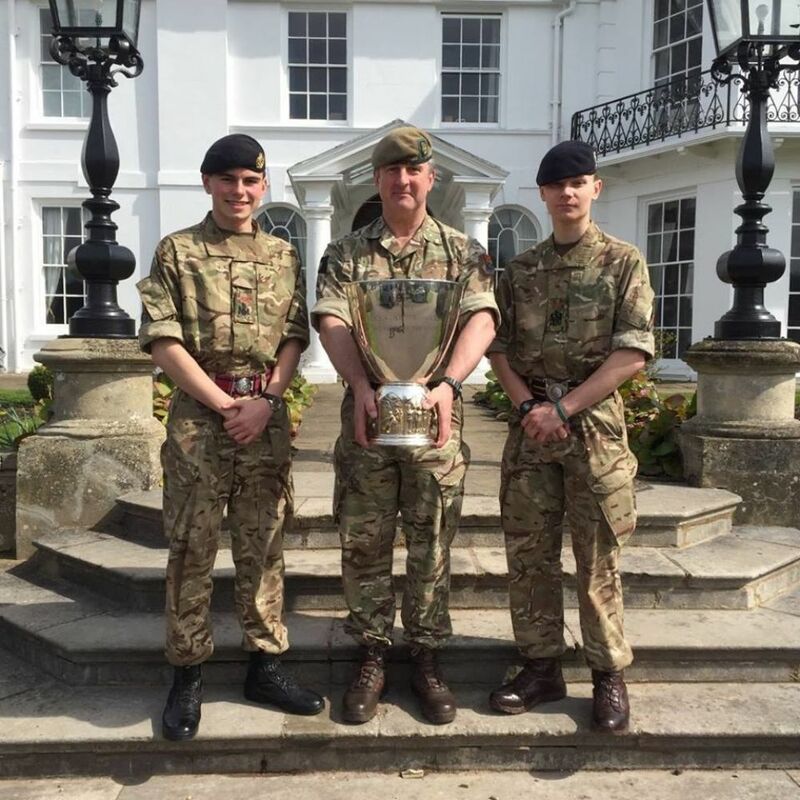 Cdt RSM robert Jackson and Brig Simon Banton, Chief of Staff Regional Command, are pictured holding the Claire Shore Trophy. 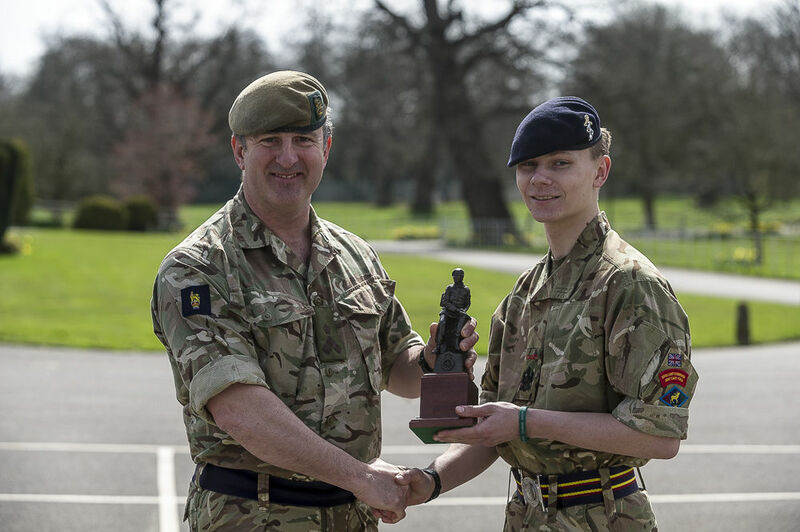 Brig Banton inspected cadets before awarding the winner the Claire Shore Trophy and a figurine donated by Tom Nugent from the All Arms Marketing and Manufacturing Organisation (The Official Cadet Kit Shop). Each year ACF County Commandants are asked to nominate their best Master Cadet for the Champion Cadet Competition. The staff at CTC Frimley Park then invite them to Frimley for a weekend to compete in a series of events and interviews, at the end of which one of them is announced Champion Cadet for that year. This year cadets from 32 ACF counties took part in the competition. The competition, which lasts just under 48 hours, tests both physical and mental aptitude, and requires the cadets to compete against each other both individually and as members of a team in a range of activities. 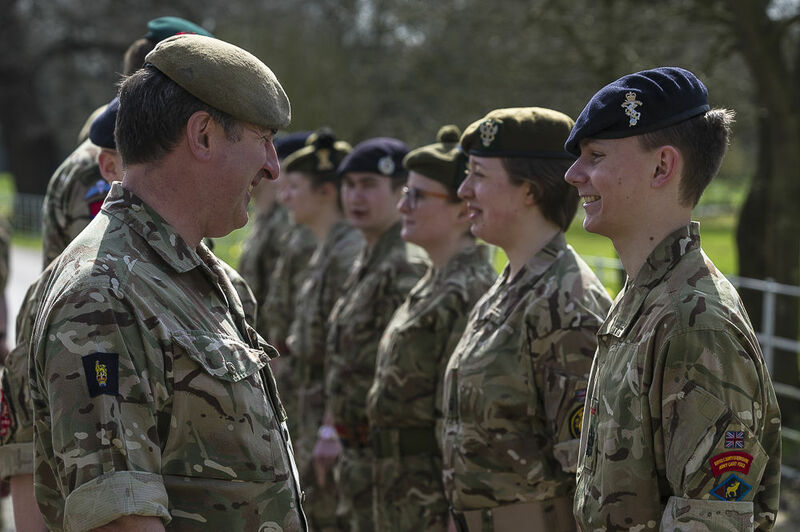 These include command tasks, weapon handling, map and compass skills (including night navigation), foot drill, first aid, logical problem solving and a comprehensive test of the entire ACF Army Proficiency Certificate syllabus. There is also a panel interview. Throughout the competition the assessors are looking for signs of leadership, teamwork, self discipline and unselfishness. The winner of the competition is the cadet deemed by the selection committee to be the year's most inspiring example of the ACF Master Cadet.